Know your item SKU? Order faster! 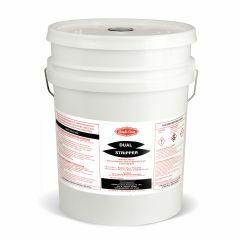 Universal II Floor Stripper is a highly concentrated stripper for use on all resilient type floors to remove metal cross-linked finishes. Being highly concentrated and fast acting, it is truly a labor saving product. Use of Universal II Floor Stripper reduces labor time normally spent in stripping floors. It is the fast, safe, easy answer for removal of years of old wax and polymers build up. In cases where floor-scrubbing machines cannot be used, this product will effectively remove most all floor finishes without scrubbing. 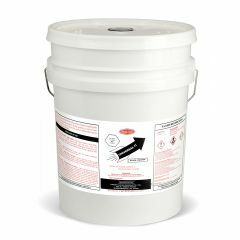 The unique high chemical action formula unlocks the molecular structure of old finishes to speed floor stripping. Special wetting and penetrating agents help dissolve soil, stains, old wax and finish for easy pick up using a dry/wet vacuum or wet mop. Contains monoethanolomine, 2-butoxyethanol, isopropanol, propylene glycol monomethyl ether, wetting agents, surfactants, and water. Dilute one part Universal II Floor Stripper with four parts water. Apply liberally with a mop, always keeping floor surface very wet. Let stand 5-8 minutes and mop again with agitation. Let stand 3 minutes and pick up solution with wet vacuum. Never allow area to dry before vacuuming. If finish remains, repeat application; also, if areas are hard to get to (e.g. baseboards) use solution with a bowl mop. Allow floor to dry. If surface is free of dust or other materials, no rinsing is necessary and solution will evaporate. If there is any doubt about whether the floor is clear of finish, rinse with wet mop. Wait until completely dry and re-coat. For the fastest and easiest complete finish removal, use a floor-scrubbing machine (175-350 rpm) with a stripping pad. 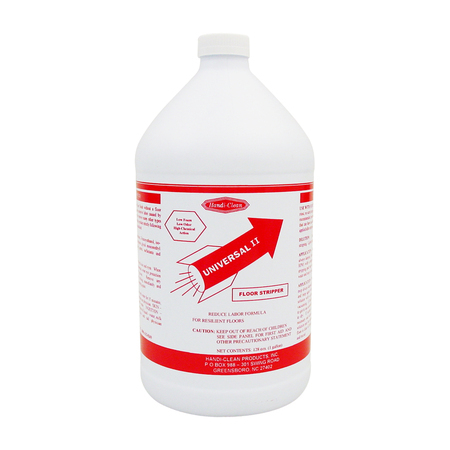 While Universal II Floor Stripper is a no rinse, no scrub stripper, it is highly concentrated and any error from the recommended procedure may cause incomplete stripping or residue that can have an effect on metal cross-linked floor finishes. In cases where floor-scrubbing machines cannot be used, this product will effectively remove most all floor finishes without scrubbing. Recommended Dilution: Dilute one part with four parts water.